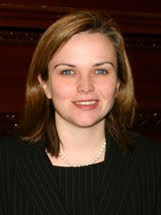 Given the overwhelming support for the Longmeadow High School Building project at the Town Meeting on May 25th, 2010, Superintendent Hart did not give her presentation. LCTV was kind enough to tape the presentation by Ms. Hart and SBC Co-Chair Bobby Barkett for those residents that are interested in learning more about the project. Remember to VOTE yes for LHS on Jum 8th! As we weigh the merits of investing in a new high school, one of the arguments that is often heard centers around whether our educators can still provide a high quality education to our students if we chose not to support a new facility. It sounds like the answer should be simple, but in reality it is not. A school can have the latest textbooks, the most advanced technology and a great facility, but without good teachers the education afforded the students would be at best second rate. In Longmeadow, we are fortunate to have an outstanding faculty, but there are other key factors to providing our students with a 21st century education, an appropriate and necessary education, and chief among those is the facility. I have heard many of our residents say that our students do well academically, have excellent scores on the SATs and get into good colleges. They use this statement of fact as the basis for an argument against a new high school and on the surface the argument has merit. But the reality is that education has evolved substantially since the corner stone of Longmeadow High School was laid more than 50 years ago. The staff, faculty and administration have done an excellent job adapting the curriculum and how it is delivered given the constraints of the existing facility, a facility which is now impeding necessary progress if we are to provide an education that will serve our students well over the next half-century. Our school, built in the 1950s, was designed to deliver the education of the time. The wisdom of that time held that children should be educated in isolation; that mastery was based on the ability to memorize and recite facts, and the teacher was the center of a compartmentalized educational universe. One needs only to look at our school to see the truth in these statements. We have a sprawling footprint, with many single loaded corridors and small classrooms, limiting the ability to set them up for anything other than teacher-centered instruction. 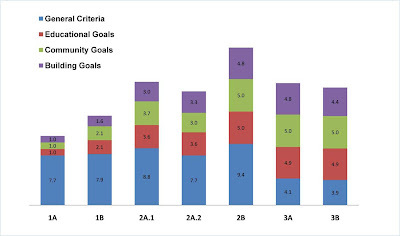 In addition, classroom learning was based upon the “three Rs – reading, writing and arithmetic”, learning and assessment were almost exclusively based upon print and learners were expected to do so passively. For those of us who are in our thirties, forties, fifties and beyond, this description of our high school experience should ring true. We also know that education continues to evolve. We are seeing more projects, more group work and varied uses of media as just a few examples. The problem is we need to do more and our facility is a primary limiting factor to making the changes required. Twenty-first century education differs in many ways from the one our building was designed for and from the one we can deliver now. The 21st century curriculum is interdisciplinary, project based, designed to help students address real-world problems, uses technology as a cornerstone for communication and presentation, is collaborative and student-centered. It is active, fluid and agile, requiring a facility that allows for differentiated instruction to be facilitated in a variety of settings, based upon the educational objectives and needs of the learners. It has spaces for small group instruction, large group presentation and collaboration, all while having technology available to support teaching and learning. It must support teacher collaboration and bring people together on a daily basis. As a math teacher for the last six years at Longmeadow High School, I can address on a first hand basis what we can do in our facility and what we cannot, but must, if we are to continue Longmeadow’s reputation of educational excellence. Each year in my geometry class I assigned a capstone project in the fourth quarter requiring the students to design a structure based upon a set of given parameters, apply their knowledge of geometry to compute various areas and volumes as well as write about how geometry was used to accomplish the project. Each student was also required to produce drawings and/or a model of their structure. In most cases the results were good and many students have indicated over the years that this project was the high-light of the class for them. The problem is that it could and should have been so much more meaningful. Students would have benefitted from use of a facility at school where they could construct their models under my instruction, taking advantage of my experience and the knowledge that can be gained by working in groups. A more robust project could have included not only designing houses to scale, but neighborhoods as well, involving multiple classes and changing the report from a traditional paper to an electronic presentation where the students participated in the assessment as well. But lack of room, space to collaborate, facility to design and construct their building and the technology to prepare and present their project limited our ability to provide the educational experience that could have been. Last year in our Integrated Math class we studied the topic of logic, including the construction parallel and serial circuits. If this sounds like something your electrician might say, you’re right. In fact, the way these types of circuits are represented on paper is very similar to that found on an electrical schematic. In class we talked about this connection in theory, but it would have been much more meaningful to our students if we had been able to build a few circuits and apply our knowledge in a practical way if we had a place where these circuits could be constructed and tested. We have no facility to support this type of learning and as a result missed an opportunity to provide an experience that would significantly benefit these students. Of course, there are also the everyday classroom activities, which are limited by our present building. When students are given an opportunity to work together constructively, the resultant learning is often far greater than that which can be obtained by teacher centered instruction. As such, I often asked my classes to break into groups and work on problems and small discovery activities. The larger the class, the more difficult it was to provide appropriate space as groups tend to need more room than do students placed neatly into efficient rows. Desks and students might move multiple times during a class depending upon the activity. However, with inadequate space the ability to work undisturbed by other groups, move about the classroom freely and work with anything more than paper and pencil was difficult at best and at times impossible. Students need to learn not only the content, but how to work together with others. By providing spaces which allow students to work cooperatively we help them develop a skill set and knowledge base which will be more meaningful and richer. The following addresses how the propose high school will help to meet these student learning needs. Classrooms in the new structure will be about 100 square feet larger on average. This will allow for more flexibility regarding how classrooms are set up, making it easier to configure them based upon how we want the students to learn as opposed to structuring the lesson to “fit the classroom”. Larger classrooms also allow for easy transitions to group activities and allow sufficient room to provide differentiated instruction through the use of a variety of instructional modalities. It will be easier to have students make presentations, easier to have students work in groups and make it possible for students to move about the room without disrupting others. Even if the classroom is not large enough for certain activities, the hallways have been configured in such a way as to allow students to gather and work outside of the classroom while within easy access to the teacher. Larger classrooms and the configuration of the academic wing will remove the barriers to learning cooperatively in a classroom setting. There are also those issues related to providing an experiential learning environment. The new facility boasts two applied learning centers where students can utilize their knowledge in a more practical manner, in essence transitioning from the theoretical to the practical. Not only do these rooms provide an opportunity for students to apply what they have learned, they also provide an atmosphere where students who don’t necessarily excel in a traditional classroom setting to demonstrate what they know in other ways. It is this type of differentiated instruction, which allows us to reach a greater number of students in a more meaningful way and provides an experience to students they might not get otherwise. One other note to consider is how the academic wing is configured. Instead of a sprawling design, isolating students from one another, this design brings students together and provides space for collaborative educational experiences that can be interdisciplinary in nature as needed. The facility is flexible and agile, allowing for teachers and administrators to adapt the educational model being employed without compromising the education to be delivered. It places students and teachers together in a way where collaboration and cooperative learning can be the norm. Our building has reached the end of its useful lifetime, not just as it regards the “bricks and mortar”, but also as a vehicle for teaching and learning. If we are to provide our students with an education that truly prepares them for the next phase of their lives, then we must take advantage of the opportunity placed before us and act to support the proposed building project. As one of the oldest incorporated towns in the Commonwealth, Longmeadow has maintained and embraced its long history and bucolic surroundings. The true New England charm of our town serves a backdrop to delivering outstanding services to the residents. Our Public Safety, Senior Services, Parks & Recreation Departments, and Library touch all residents. Our school system’s reputation of excellence is one of the key components in making Longmeadow a community of choice among new residents. Longmeadow is a great place to live and raise a family. As we embark into the second decade of the 21st century, Longmeadow, like other communities, is challenged with difficult decisions. The challenging conditions seen in our global economy can be felt in our own backyards. Similar to other suburban communities, this year we are again asked to find balance in the delivery of services we have grown to expect and the cost of providing them. Like other New England communities, our infrastructure is aging. Though we have made great progress in recent years with the addition of a Fire Department Complex, three elementary school renovations, general site work, and other modest building upgrades, there are still key projects like the Town’s water and sewer lines, the DPW facility and a long term, sustainable solution to the condition of our largest asset, the Longmeadow High School that need our attention. Through out the decades and centuries of Longmeadow’s existence, local government and residents have been presented with similar issues as we face today. Our tax base is limited by its residential nature therefore large capital based projects and infrastructure investments must be fully vetted and deemed the right use and investment of tax payer dollars. Nearly a century ago when the high school, two middle schools and five elementary schools were built; the investment in our town rests on our shoulders. We need to embrace any opportunity that allows us to rebuild our worn out infrastructure. One of these opportunities is upon us. The design of a new/renovated Longmeadow High School submitted to the MSBA for funding approval includes a new academic building combined with a renovation of the 1971 wing. Our state’s school building authority, the MSBA, announced on March 31st, that it had approved a maximum grant reimbursement of $34,004,658 towards the cost of our high school addition/renovation project. On May 25th, Special Town Meeting took the first step to fund the high school project by approving the warrant article. The next step will be the ballot question on June 8th. It is a simple majority vote—if residents vote yes then we move forward with the project and funding from the state; if residents vote no, then the high school project fails and funding from the state will no longer be available. For nearly thirteen years, we have been working toward the possibility presented today, where a viable option finally exists to fix our High School and can be presented to you, our residents for approval. Over the last 22 months, the Longmeadow School Building Committee (SBC) has worked to position our project within the guidelines of the Massachusetts School Building Authority (MSBA), knowing full well that we had one shot to take advantage of the current reimbursement program. The alternative: compete with hundreds of communities and nearly 500 other statements of interest filed with the MSBA. Since the 2008 Fall Town Meeting High School Feasibility Study funding approval, the SBC has been working towards a solution to the high school’s aging facilities. Working in collaboration with the MSBA, the owner’s project manager Joslin Lesser & Associates, and OMR Architects, Longmeadow completed its required Feasibility Study and Schematic Design in March 2010. As stated earlier, Longmeadow is now asked to balance among several challenges. In the short-term a potential for reduction and restructuring of town and school services may have a noticeable impact. In the long-term we are asked to consider a sizeable capital investment. This intersection of seemingly opposing dynamics is unusual, and may be faced only once in a generation. Though this is not the first time Longmeadow contemplates its future, we believe this decision may define the complexion of our community for decades to come. Surrounding communities have recently supported investing in new high school projects while facing the same economic constraints. We hope that as a community, we seek to understand each and all of the dimensions that this decision will have, encompassing both current residents and future generations. Though it is difficult to separate today’s seemingly uphill battle from the hope and promise of a better tomorrow, we believe Longmeadow will ultimately make the right decision. In conclusion, we would like to thank all of you – the citizens of Longmeadow. Your participation, comments, questions, and concerns bring great value to both of us and our fellow School Building Committee members. "Let’s hope that town voters are smarter than that and will make informed decisions based upon knowledge of the candidates and/or issues rather than relying upon sign counts." 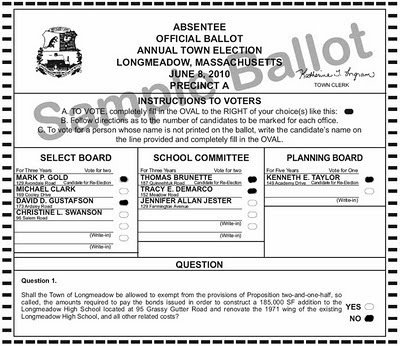 Little did I realize how prophetic that would be.... a person would think driving today through Longmeadow based upon lawn signs that the vote tomorrow on the high school project will be unanimous since you cannot find very many "NO" signs and "YES" are prolific throughout the town. Of course, we know that many NO signs were stolen in the past few weeks so lawn sign counts are likely to be representative of the overall sentiment. The high school building project has been particularly ugly from both sides. Let's hope that no matter what the outcome tomorrow that both the winners and losers can accept the democratic outcome and our town can move forward. I have spent considerable time learning about the candidates and the high school building project and have already filled in my ballot (see below). The three documented meetings with the MSBA tell an interesting story. What we don’t know is what happened at the November 11th undocumented meeting with the MSBA and SBC and a trio of politicians. This meeting apparently changed direction of the two previous documents from claiming that the building is a solid structure with a strong potential for renovation, to a tear down and rebuild of a new High School? What happened? It is inconceivable that the non-technical MSBA Executive Director, lacking architectural or engineering training, would stand in front of a 50 year old building and declare that its condition was so bad that it had to be destroyed. Again, the previous MSBA study and consultants concluded that the building is solid and a strong candidate for renovation. Resident “tax payers” need not be on a “burning platform” to approve this wrong project which will commit the community to a huge 25 year mortgage. We can do better via renovation by voting NO. 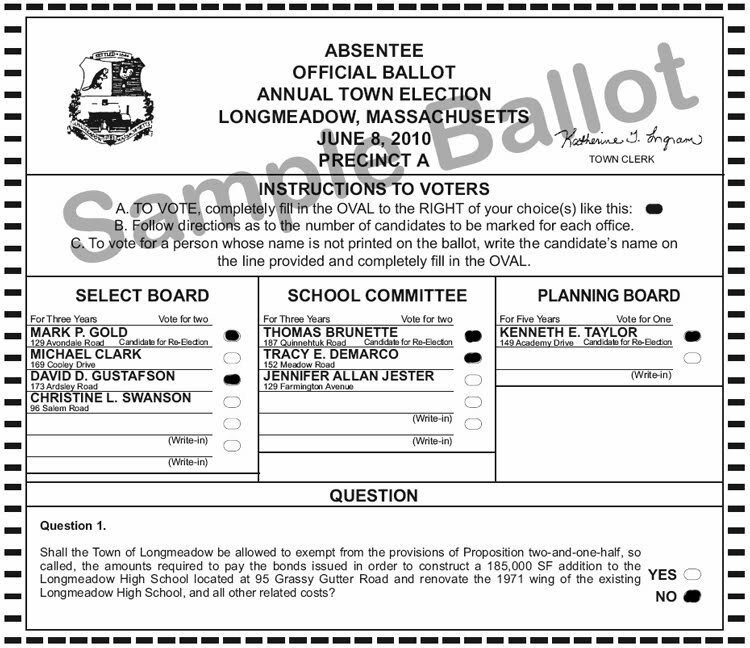 Prior to Tuesday's vote on whether to accept a grant from the Commonwealth or to turn it away, Longmeadow voters will finalize their decision. It may be helpful to review how the Massachusetts School Building Authority reached its decision about why the Commonwealth should offer the grant at all. What criteria guided MSBA's decision to fund Option 2B? “We‘re looking to spend your state sales tax dollars in a way that‘s going to be far-reaching and far lasting –a 50-year project. We‘re trying to avoid getting into duct taping solutions." •Projects are coming in 10% to as much as 25% below cost estimates. •―Our grant right now is for the project that is in front of you. •―All of those projects are waiting because of the $34 M that we have committed here, which would go back into the ―pool for them to compete for." •―No other community has come this far and failed to approve a project, scope and budget." Emotions matter; but they cannot be used for hurtful purposes. When I was standing out by the Recycle Center this weekend, by myself, I handed out endorsement flyers and brochures from Lancer Pride. 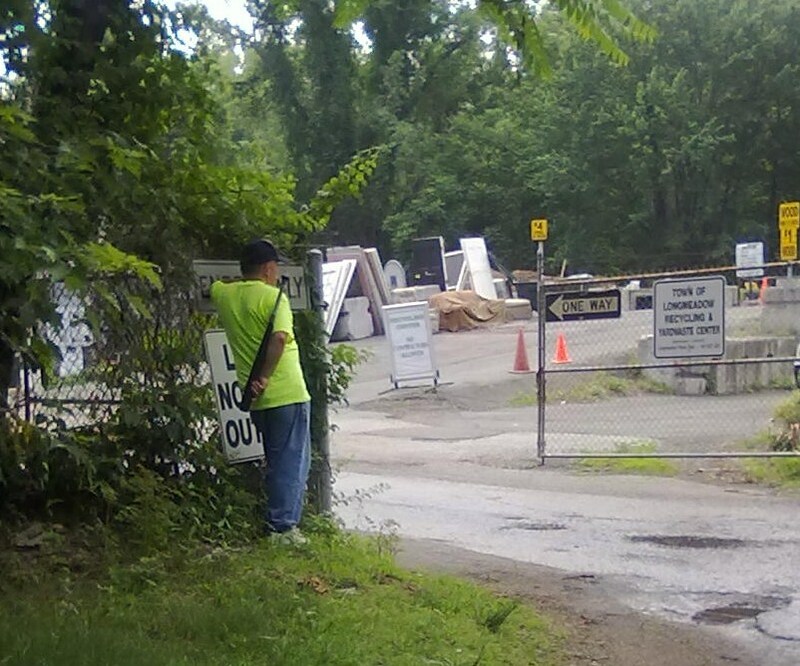 A DPW worker holding a baseball bat told me that I could not stand there. I had been talking in in a modest voice, and suggested calling the police myself. Unfortunately, another citizen who drove into the yard got involved, yelling to the DPW worker. The worker told me I had to leave. Eventually he called the police. I was concerned about his tone. While he called police, I took this photo: Luckily, the 2 cruisers who came by assured him that I had every right to be in that location, doing what I was doing. They explained to me that they had seen a lot of intensity about this issue. And they took my license plate number (not sure why). Todd C. Ratner, Esquire, Bacon Wilson P.C. "For the owners of the approximately 3000 homes, with children no longer in the Public Schools, the direct benefit of a YES vote is the maintenance of property values and the Longmeadow Property Value Premium (LPVP). We all know this LPVP is directly tied to the quality of our educational system, and that the majority of these same homeowners, will have a need to cash out in the next 5-25 years. "The design of a new/renovated Longmeadow High School submitted to and approved by the MSBA for funding includes a new academic building combined with a renovation of the 1971 wing. In my opinion, this is the right alternative. It keeps us competitive with other bedroom communities in providing a high school facility that can legitimately reach a 50-year lifecycle. It will allow our teachers today and tomorrow to fully take advantage of 21st century learning initiatives and it provides key academic and community spaces that our current footprint under any renovation plan would be difficult to match." VOTE YES, with these folks, on Tuesday June 8, at the Community House! and encourage you to join them in voting YES on June 8th! Diane and Paul Doherty, Esq.